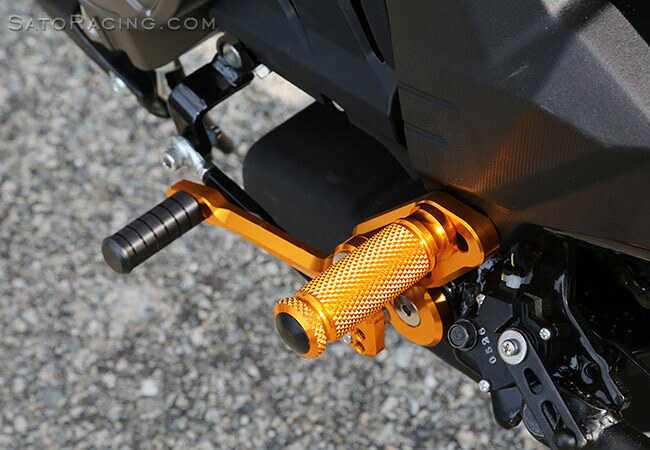 SATO RACING Rear Sets (standard version) for Kawasaki Z125 Pro are made of billet aluminum and anodized in your choice of deep Black or vivid Gold finish. 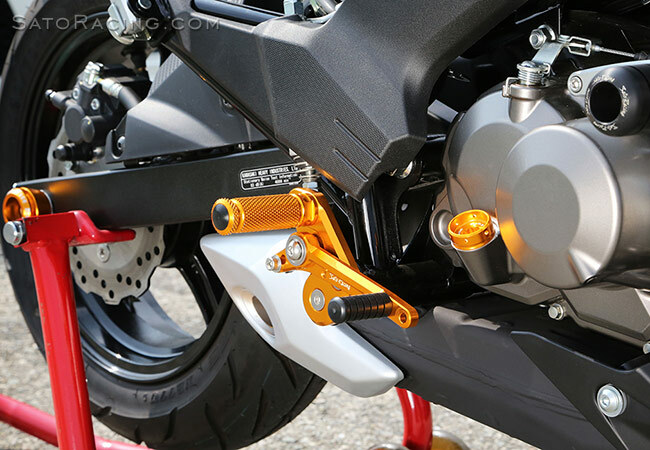 These Rear Sets are brake light switch-compatible, and are ideal for either street or track use. Featuring 2 adjustable peg positions, bringing your feet either 77.5mm or 90mm rearward compared to the stock foot rests, for a less upright, more aggressive riding position. and brake pedals feature double stainless bearings for smooth, precise pedal movement with a solid feel. The Rear Sets kit includes a brake light switch. 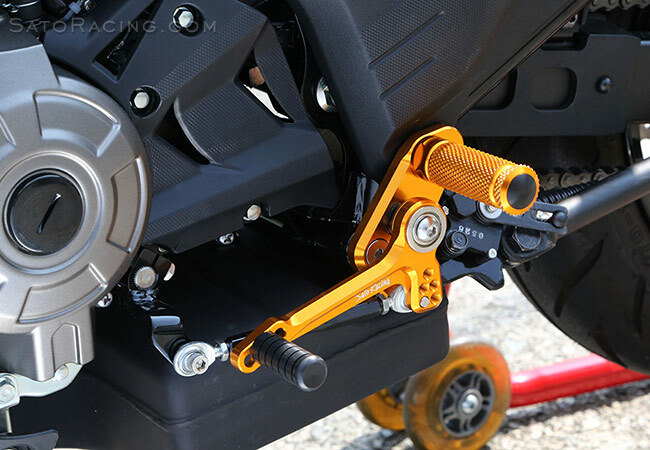 The shift stroke can be fine-tuned by changing the mount position of the shift rod on the shift pedal. 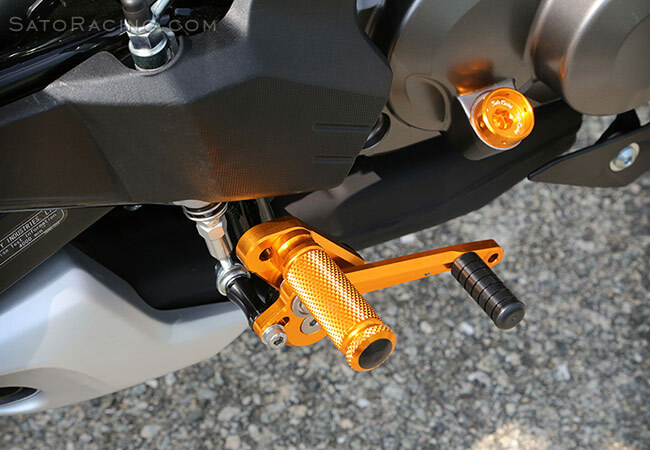 The foot pegs feature a finely knurled pattern for excellent grip characteristics.